One of the things I most appreciated about the book was its balance between eloquence and substance. In recent years I have seen a whole new crop of young scholars with the ability to address substantive academic issues in compelling and interesting ways with the result that these “academic” books are actually fun to read (see e.g., Timothy Michael Law, Chris Keith, Anthony LeDonne, Chris Tilling). At the end of the day, some will feel that the contributors have perhaps not gone far enough in their conclusions. I am of the opinion that this is an ideal resource for seminarians (and potentially advanced undergraduates) who hold the Bible to be authoritative but don’t wish to jettison all intellectual honesty when studying the Scriptures critically. I have long abandoned using the term “evangelical” when self-identifying because of the negative connotations so often attached to the word, especially here in the United States. 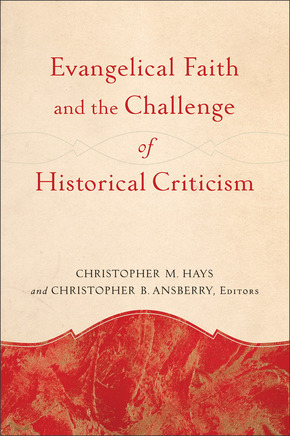 Perhaps the highest praise I can give this book is that it handles important subject matter in a way that makes me think there *might* be–sometime in the distant future–a context in which it would be okay to begin calling myself an “evangelical” once again. Then again, maybe not…..but as long as scholars like this are shaping and advancing the conversation, I’d be open to the idea.